Im moving into a property in the next few weeks in Mount Maunganui. I have been tasked by the gf to sort out our ISP aswell as power and sky. We normally download about 40gb a month but would like more than this as i see our usage going up, previously on an unlimited plan. We will want to get Netflix or something similar. Fibre service is available but unsure if its been connected to the property. 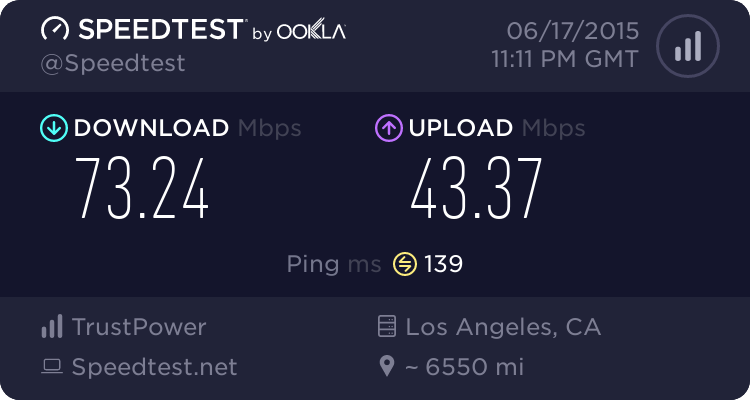 What download speeds are you getting? NZ and OZ are full line speed. A while ago there was some night time slow down but haven't check in the evenings for a while. FF I haven't used their UFB product so can't comment. 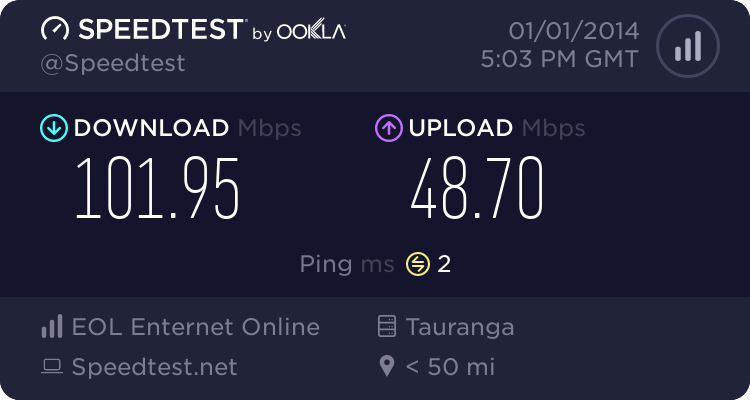 Looks good, is UFB fiber? Hey OP, Obviously i'm a little biased but happy to have a look and see if we can sort you out with a sweet deal. We're doing a free Netflix / Chromecast promo for 6 months as a thanks for hopping on. PM me if you want some more details. turneg01: Looks good, is UFB fiber? if the house itself CAN get fibre and just doesnt have it running to it currently, i would Go with snap, sign up for adsl. once connected, upgrade to fibre. That way, you will have internet from the start, and once the fibre installation happens you can switch over and happily enjoy! My vote for EOL (local business). Hoping for VDSL, how can you tell you have VDSL? Use the chorus broadband map. I'd be wary of Full Flavor, it seems their support may be quite poor (no personal experience), even be worse than Vodafone by the sounds of some recent threads. to see what the property can get, use one of the many ISP's address checkers, they should give you a good starting point. turneg01: Hoping for VDSL, how can you tell you have VDSL? ajw: Check out these prices. They are asking for regional isp's.